Steak and potatoes is a favorite meal for many, but with the high cost of a good steak, it usually only makes an appearance for special occasions. This stew captures all the flavor of a steak-and-potato dinner, but in a stew that uses budget-friendly beef stew meat in place of pricier steak. 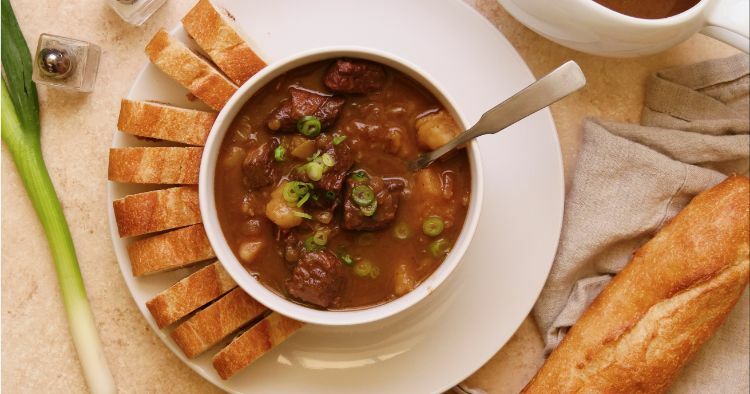 With a gravy flavored with red wine, beef broth and steak sauce, this stew really does taste like your favorite steak. Chunks of potatoes are the perfect starchy foil for the rich meat. A fresh green vegetable and some crusty bread make perfect accompaniments. Heat the oil in the Instant Pot using the sauté function. Add the onion and cook, stirring occasionally, until softened, about 5 minutes. 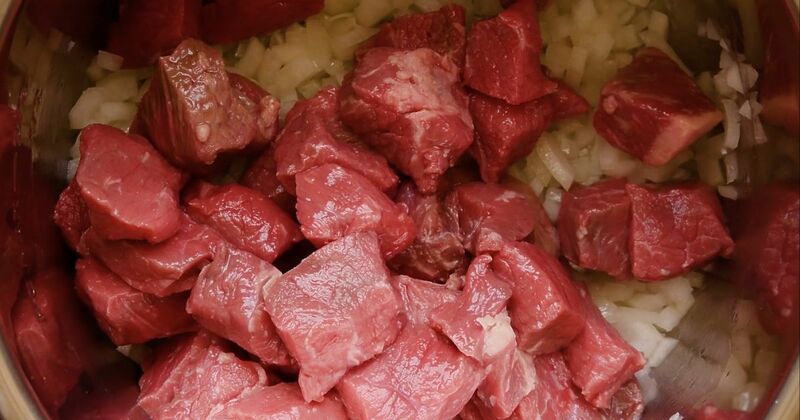 Season the meat with 1 teaspoon of the salt and ½ teaspoon of the pepper. Toss it with the flour to coat. Add the meat to the pot and cook, stirring, until mostly browned on the outside, about 5 minutes. Add the wine and cook, stirring and scraping up any browned bits from the bottom of the pan, for about 3 minutes more. Add the potatoes, broth, steak sauce and the remaining teaspoon of salt and ½ teaspoon of pepper. Stir to mix. Turn the sauté function off by pressing the keep warm/cancel button. Close the lid of the Instant Pot and turn the valve to the sealing position. Choose high pressure and set the timer for 40 minutes. When the cooking time is up, let the pressure release naturally for about 10 minutes. Quick release any remaining pressure. Serve hot.